As fall starts to arrive, get out and enjoy the weather before it starts to get really chilly. 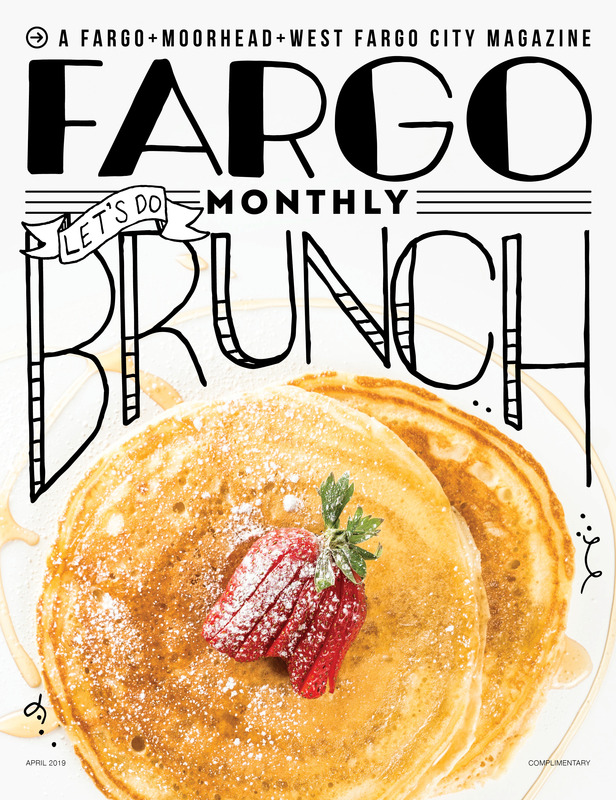 There are a variety of concerts, performances, expos, plays and more, so check out our top Fargo events for September! What are you most excited to check out this September?
? ¡ARRIBA! ? ¡ARRIBA! ? Just announced: 1ST ANNUAL FARGO TACO FEST Two sessions || Saturday, Sept. 8 || Fargo Brewing Company Tacos, tequila, and tons of funs are planned for Fargo’s first ever Taco Festival! Spend the day enjoying unique tacos from local restaurants & food trucks. Taco Fest will also feature a Tequila Tasting experience for patrons looking to add a little extra salt and lime to their day! Tickets on sale NOW at fargotacofest.com! Saturday, Sept. 8 at 11 a.m.
Fargo Brewing Company and Jade Presents are excited to bring Fargo its first ever Taco Fest—a day filled with tacos, tequila, talent and tons of fun! A variety of unique tacos from local vendors will be available for purchase. To wash down their tacos, patrons can take advantage of the margarita station or try specialty brews on tap from Fargo Brewing Company. The “Taco Showdown,” voted on by event-goers, will determine the day’s favorite taco. Saturday, Sept. 8 at 10:20 a.m.
Join the Alzheimer’s Association in a fundraising walk. All funds raised through Walk to End Alzheimer’s further the care, support and research efforts of the Alzheimer’s Association. Learn how you can help support research and care in our community and get the opportunity to socialize with others affected by Alzheimer’s. Registration opens at 9 a.m. with opening ceremonies starting at 10 a.m. and the walk itself beginning at 10:20 a.m. Registration is free, but a donation to the foundation is encouraged and appreciated. Hanging out at #Bluestem in Moorhead as a part of #GreaterMoorheadDays with Kevin from Midco, it’s the ever popular Kids Fest from 5-7:30 brought to you by our good friends at #Midco Penny and Pals will be here, free food, inflatable games and so much more! Come out for the fun! Tuesday, Sept. 11 at 5 p.m. Hop on over to Bluestem for the Midco Kids Fest, part of the Greater Moorhead Days. Bring the whole family out for this free event and take advantage of fun activities and performances such as inflatable games, kite flying, interactive music, carriage rides, a clown and more! Saturday, Sept. 15 at 5 p.m.
Beer is fun. Act accordingly. Come to celebrate four years of acting accordingly with Drekker Brewing Company at their new digs. Come ready for food, beer, gimmicks, games and music by The Stovepipes and The 4onthefloor! Everyone’s favorite practically perfect nanny takes the stage in this Supercalifragilisticexpialidocious adventure. Join the Fargo-Moorhead Community Theatre to let your imagination will fly high in this musical delight for the whole family! Friday-Saturday, Sept. 15-16 from 10 a.m. to 6 p.m.
Monday, Sept. 17 from 7:30 a.m. to 4:30 p.m.
Join hundreds of women in Fargo for a moment of pause to prove no woman is alone in her experience. Speakers Danielle LaPorte and Elize Greene will speak from their own unique experiences and share their own truths and advice. Enjoy time together with fellow women as you renew your mind, body, and spirit. Thursday, Sept. 20 at 6 p.m.
Bring a mat and your friends for an entertaining night of wine and yoga. You’ll get your choice of red or white wine when you walk in the door, then prepare for a fun class of yoga poses incorporating your wine. The wine helps your body and mind relax, create endorphins and potentially deepen your practice. Experience yoga in a new, light-hearted way. Saturday-Sunday, Sept 22-23 from 9 a.m. to 5 p.m.
Fargo Junk Market is a biannual shopping event, hosted by Eco Chic Home. Featuring two days of fun-filled shopping and eats focusing on vintage finds, re-purposed furniture, handmade one-of-a-kind crafts, artisan goods and local food products, it’s sure to make all your Chip and Joanna Gaines dreams come true. The Roughrider Ink & Iron Expo (RIIE) is an event that combines two seemingly separate arts that align when you compare the skill, artistry and expression shared by tattoos and motorcycles. Through education and recognition, this event will highlight the artistry of custom motorcycles while also touching on the beauty of tattooing. With a commitment to giving back to the community, a donation of a portion of tickets sales will go to Make-A-Wish North Dakota.